Pokies were first created more than a century ago and since then, with the development of technology, they have been enhanced and improved dramatically. They are the most popular games at any casino, online or land-based and well more than half of many online casino suites are made up of slots. Today’s games offer impressive features and functions, with a huge range of themes, graphics, sounds and animations, ensuring there is something for everyone. The history of the slots machine is long and colourful. The pre-cursor to slots was a machine that was developed in 1891 by a New York company, Sittman and Pitt. The machine had five drums, each with ten playing cards, resulting in a deck of cards minus the ten of Spades and the Jack of Hearts. The game that was played was based on poker. To begin the drums spinning, players inserted money into a slot and pulled a long lever. The drums would come to a stop and line up five playing cards, creating a poker hand. The machines did not have a payout system and all wins would be paid by the establishment that housed the machine. In 1895, Charles Fey, a car mechanic from Fan Francisco, created a slots machine. This machine had three reels that rotated, each with ten symbols. The symbols included Spades, Hearts, Diamonds, a horseshoe and a liberty bell. To start the reels spinning, players needed to insert a coin and pull the long lever. The aim was to line up three of the same symbols. The largest payout was for three liberty bell symbols and this was how the machine got its name – the Liberty Bell. The Operator Bell machine was developed by a Chicago-based arcade machine manufacturer, Herbert Mills in 1907. Based on the Liberty Bell, these machines were the first to use fruit as symbols. Many new machines were developed in the following years. The first electromechanical machines were developed in 1963 by Bally, a pinball machine manufacturer. These machines offered a number of advantages. They featured the first hoppers – a holder to collect the coins that were paid out. This meant that an assistant was no longer needed to operate the machine. The machines were powered by electricity and featured sound effects. In 1970, the size of the hopper was increased in order to be able to holder dollar coins. This allowed the machines to pay out larger amounts. Bally also employed a computer programmer, Inge Telnaes, to develop a programme that would increase payouts for players, while at the same time, maintain profit for the company. He developed the random number generator (RNG) that is still used today. The first video slots online casino games came to Las Vegas in 1975; however they did not immediately become popular as players were sceptical of the fairness of the games without being able to see the reels physically spinning. This changed over time and in the 1980s they started to gain popularity. Online pokies were introduced in 1994 when the first online casino was launched. Since then, as technology has improved, the features, functions, graphics, animations and sounds in the games have improved significantly as well. While the basic concepts of the games have remained the same, there are now many more variations to choose from. Online pokies games include multi-payline games, multi-spin pokies, bonus features games, free spins games and much more. 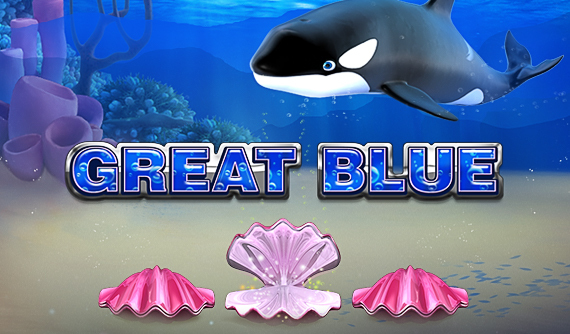 There are also progressive games, classic games, video pokies, UK pub fruit machines and more. New game types and new features are released regularly. Casino.com AU offers an impressive collection of online pokies that can be categorized as classic pokies, multiline pokies, bonus pokies, and progressive pokies. They feature themes ranging from popular movies to animals. Some of these pokies have retained their popularity among online casino Australian players although released several years back. 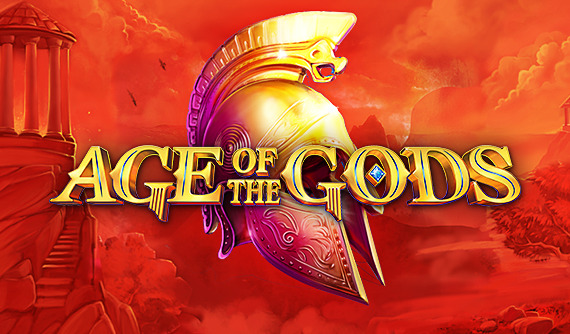 Age of Gods - A progressive pokie based on the ancient Greece theme, Age of Gods offers 4 free spins modes and 4 progressive jackpots. Players can also try to hit the top fixed jackpot of 10,000 coins while spinning this 20-line pokie. Online Pokies are popular for their simplicity and their potential for huge payouts. They have simple rules and as they are random games, no skill is required to play them. It is worthwhile to understand the types of bonus features available and familiarise yourself with how to play them before you begin. To begin a game of online pokies you will need to place your bet. Different games accept different coin denominations and a different number of coins, resulting in varying minimum and maximum bets. Choose your bet size according to your bankroll. Place your bet and click on the spin button to start the reels. You can then sit back and wait for the reels to come to a stop to see if you have hit a winning combination. You may trigger a bonus feature in which case the feature will be played before you continue in the main game. You will be paid out for any winnings. You can continue to play as long as you want. Pokies are popular for their simplicity and their potential for huge payouts. They have simple rules and as they are random games, no skill is required to play them. It is worthwhile to understand the types of bonus features available and familiarise yourself with how to play them before you begin. With modern technology, particularly the development of the random number generator that ensures random and fair outcomes, pokies odds have become standardised so that specific online casinos offer standard odds. Each time you play a pokies game, you have the same fair odds of hitting a winning combination or even of hitting the progressive jackpot. In addition, as online pokies technology has improved and there are more paylines and an increased range of features, the odds of you winning on any one spin has gone up. Pokies are a random game where past spins do not affect future spins. This means that there is no strategy that will guarantee a win and improve your odds. However, there are many strategy tips that can be employed to help reduce your losses in the game. Set a Bankroll – Before you begin to play you must set a specific bankroll for that game round. This is the money that you will use to play and once it is finished you will need to stop playing. This will prevent you from being tempted to dip into money that you need for something else, such as rent or groceries. Set Limits – In order to help you control your betting and your bankroll it is important to set limits. You should set a naked pull limit – the number of times you will spin without winning before you quit and set the loss limit – the amount you are prepared to lose before you quit. It is also a good idea to set a goal of how much you hope to win and quit when you reach your goal. A 25% increase in bankroll is considered a reasonable goal. Choosing your Game – There are many aspects to choosing your game. Firstly, decide on the type of game you want to play – classic, video pokies or progressive. Choose a machine by considering the betting limits in relationship to your bankroll. You do not want a game where you use up your bankroll within a couple of spins; it is more worthwhile to stay in the game longer. You should also choose based on the game that appeals to you in terms of theme, graphics and features. Know your Game Features – Almost all online pokies games today have special features and it is worthwhile to understand how they play before you begin. Some games have interactive features that you will need to play before you can return to a base game. Some may offer special game controls that would be useful to play with, such as a nudge feature or auto spin feature. Understanding the Rules – Similarly to the above point, it is important to understand the rules for the game. For example, while some progressive pokies games trigger the jackpot randomly, others require you to bet with the maximum number of coins in order to be eligible. Play for Free – Before you begin to play online pokies for real money, you should trial the games for free in the practice mode of the casino. This allows you to learn the rules of the game and become familiar with the game features without risking any of your bankroll. Playing a Progressive – If the progressive jackpot game you are playing requires you to bet with the maximum number of coins in order to be eligible for the progressive jackpot, make sure you do. You can find a game with low denomination coins that will allow you to bet with the maximum number of coins while still playing with a low bankroll. Not playing with the maximum number of coins will mean you will not win the jackpot even if you hit the winning combination. Betting Systems – There are a number of betting systems that some players use. While these will not help improve your odds in the game, they can help you to control your betting. These systems include the Baby Steps Strategy, Ladder Strategy and Play and Run Strategy. Why Slot Machine is so popular over the iOS and Android platforms? Auto Start / Stop – Start the reels spinning a pre-set number of times in succession. / End the auto spin mode. Lines – Activate additional paylines or reset the number of paylines. Bet Per Line – Add one more coin to the bet line. Bet Max – Bet the maximum per payline, activate all payline and begin the reels spinning. Spin / Stop – Start the reels spinning. / Stop the reels and display the game results. In the auto spin mode, the reels will stop, but the auto spin mode will not be deactivated. Gamble – Place a bet and gamble your winnings from the previous spin in an attempt to increase those winnings. Collect – This button appears only once you have won a payout. It allows you to add your winnings to your bankroll. Bonus Feature: A special feature or game that can be triggered to allow you the chance of additional payouts. Expanding Wild: A wild symbol that expands to fill an entire reel. Fixed Jackpot: A jackpot of a fixed amount that is paid out for a particular winning combination. Maximum Bet: The maximum number of coins and highest denomination you can bet per spin. Multiplier: This multiplies your winnings a specified number of times. Payline: The line of symbols that result in a combination. There are a different number of paylines in each game and paylines must be activated to allow for a win. Payout: The payment that the player will receive for a winning combination. Payout Percentage: The average winnings of the machine over its life. If the payout percentage is 98%, it means the player will win 98% of his bets on the mcahine over time. Pay Table: the chart that indicates the payout for specific winning combinations. Reels: The spinning wheel of the machine. The symbols that make up the winning combinations are found on the reels. Machines typically have 3 or 5 reels. Scatter: A symbol that can be part of winning combination or a triggering combination regardless of where it sits on the reels. It does not need to be on an activated payline. Sticky Wild: The wild symbol becomes sticky and stays in place until specific requirements are met. This allows you to continue benefiting from the symbol for longer. Wild: A symbol that can replace other symbols in order to complete a winning combination. Once you have decided to play for real money pokies you will need to open and register an account at Casino.com Australia and fund your account. This can be done by following a few simple steps. Click on Play for Real Money and fill in the required sections of the online form, including your personal details, contact and currency. You can choose to set your account in Australian dollars. Click on Create to activate your account. To fund your account, visit the cashier. You can choose from a wide range of deposit options including credit cards, debit cards, e-wallets and pre-paid cards. Enter the deposit amount, follow the instructions of your deposit method and approve the transaction. The transaction will be verified and your funds will be transferred. You can claim a welcome bonus of 100% up to $400 (plus 200 free spins) on your first deposit. Visit the casino lobby and choose from the large suite of online pokies available.